What Makes an Effective Helipad? A safe and secure helipad is critical for the controlled ascent and descent of a helicopter. So, it is obvious that a number of features need to be taken into account during its construction. What are some of the most important and how will they affect their overall safety? Most analysts feel that a helipad with dimensions of 50 by 50 feet (approximately 15 by 15 meters) is an ideal size. Note that this will depend upon the helicopter in question. Also, the material needs to be able to support a gross weight of well over 9,000 pounds (4.5 tonnes). The helipad and its boundaries MUST be clearly marked to ensure a safe approach. 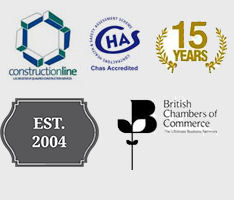 Depending upon the area, there may be regulations which need to be carefully followed (consult local laws). It is also a good idea to identify the helipad with a specific purpose (such as the name of an associated hospital or organisation). This can prevent pilot confusion when visual flight rules (VFR) are in effect. A helipad should NEVER be placed within close proximity to overhead wires, antennae or other potential hazards. It needs to be located away from trees and fences. It should not be placed within an area that is known for a large amount of sand or dust (these can damage the blades, become sucked into turbines and there is even the danger of a deadly static electrical discharge when sand or dust is in the air). Even if the helipad is not intended for night landings, emergencies can arise. It is therefore important that some form of lighting be present. Modern LED lights can be embedded within the pad itself and in the case that no dedicated electrical supply is present, vehicle headlamps can be temporarily beneficial during landings. 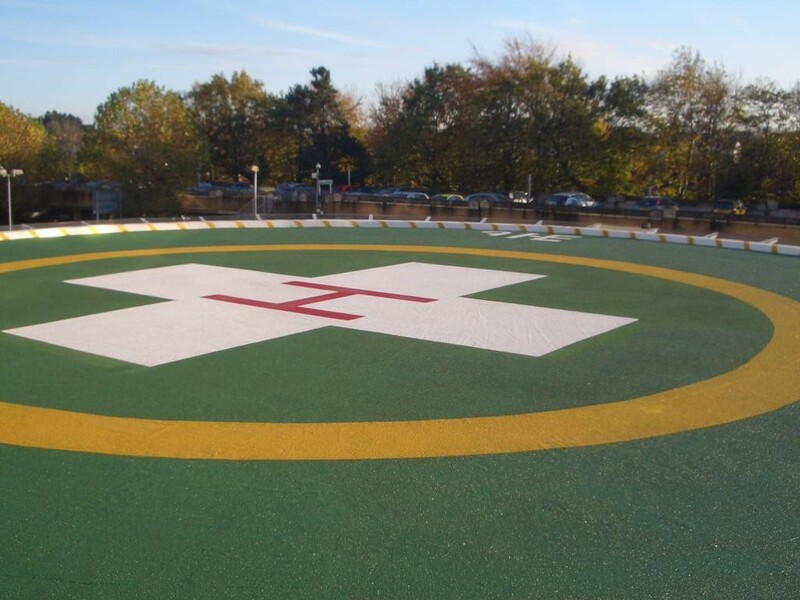 These are some of the main factors to take into consideration when designing a helipad. If constructed properly and with enough foresight, they can be extremely valuable and even life-saving. This entry was posted in Helipads and tagged construction, helipad, helipads, surfacing. Bookmark the permalink.